Democrats are panicking because they can no longer get the Black vote for free. AFRICANGLOBE – One by one, the candidates answered yes — some not for the first time. 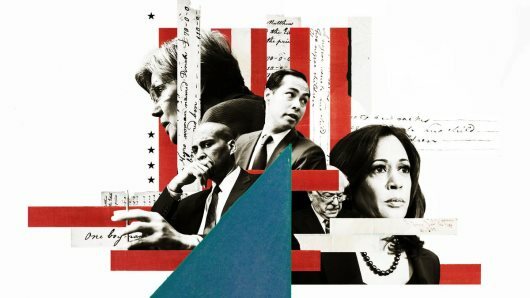 In this 2020 primary, the issue of reparations, which for decades existed only on the fringes of mainstream political debate, has emerged as a litmus test for Democrats vying for a shot at unseating President Donald Trump next year. Over the course of a few months, the candidates have wrestled with the question while liberal activists carried on a parallel debate over the definition of reparations, as they set out to create more concrete parameters for both the public and the candidates. Their consensus: H.R. 40, a piece of legislation handed off from former Michigan Rep. John Conyers, who left Congress in 2017, to Texas Rep. Sheila Jackson Lee, who is carrying the torch into this new Congress. Democratic candidates, including Sens. Cory Booker and Elizabeth Warren as well as former Housing and Urban Development Secretary Julian Castro, have all addressed the reparations issue numerous times on the campaign trail in recent weeks. “Do I support legislation that is race-conscious about balancing the economic scales? Not only do I support it, but I have legislation that actually does it,” Booker told CNN’s Jake Tapper during a CNN town hall in Orangeburg, South Carolina, in late March. Klobuchar, former Texas Rep. Beto O’Rourke, Ohio Rep. Tim Ryan and Vermont Sen. Bernie Sanders. Former Colorado Gov. John Hickenlooper called slavery “the nagging unrelenting shame of America, that continues to deny the true promise of this country to too many of its citizens” during the NAN convention Friday. Former Starbucks Chairman and CEO Howard Schultz, who is exploring an independent run for the White House, said he would not support reparations during a Fox Town Hall on Thursday night, adding that he would “rather look forward” and was open to other ideas like making a significant investment in education that could begin with historically Black colleges. He was not asked about the Jackson Lee legislation.